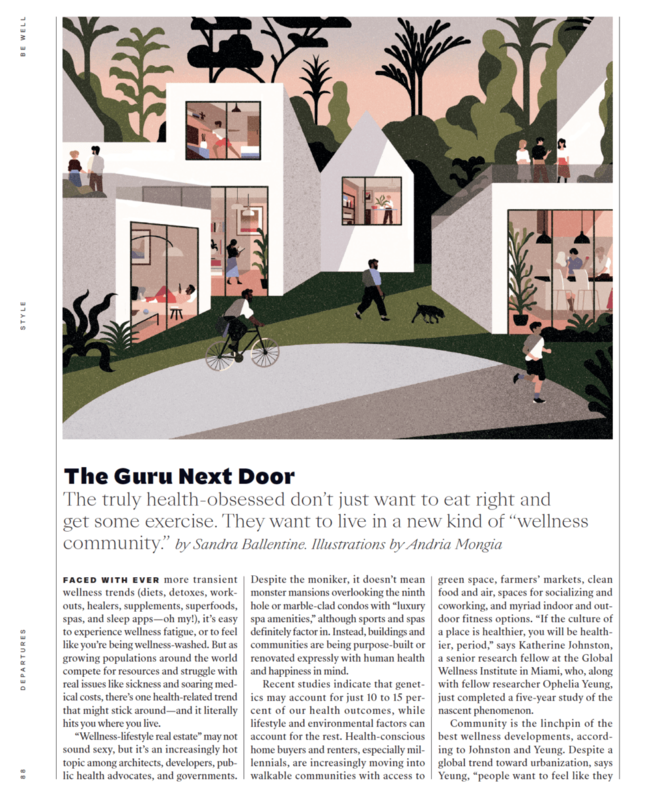 Grow Community offers a simpler, more intentional lifestyle where you can be mindful of your impact on the environment while focusing on what matters to you most. The nearby shops, restaurants and other amenities of Winslow town center offer convenient “5-minute living.” And with inviting gardens, parks and green spaces, Grow Community makes connections happen: neighbor to neighbor, you to the planet. 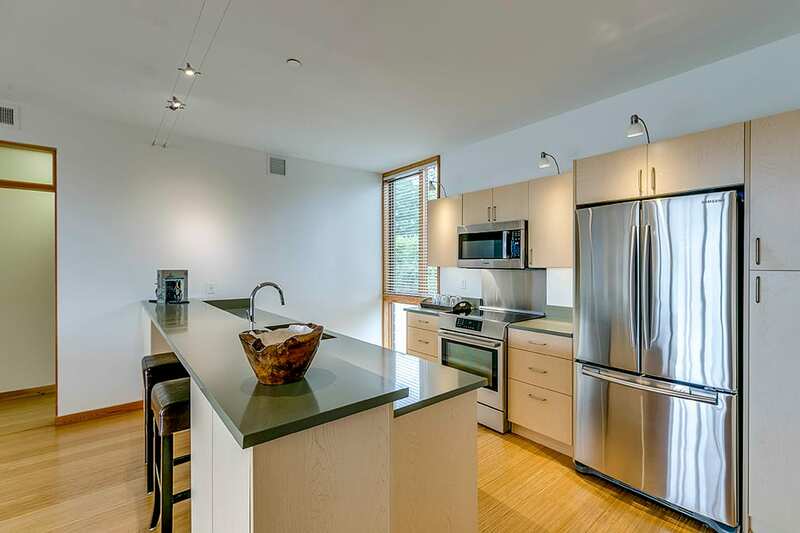 Enjoy the quiet company of woodland trees and an orchard right outside your doors in the Grove; stroll the sprawling central green that gives the Park neighborhood its name. 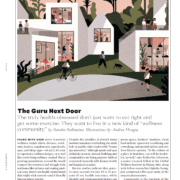 Altogether, sixty percent of these neighborhoods are dedicated to peaceful, inviting natural spaces. Parking is underground, reducing impervious surfaces and putting cars out of sight (where they belong). 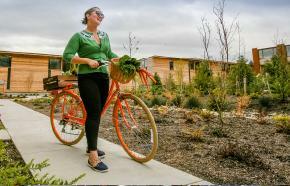 Our neighborhoods are designed to One Planet principles: ultra-energy-efficient homes, goals for zero emissions and waste, sustainable materials, locally grown food, resource conservation, wildlife habitat and edible landscaping, culture, happiness and health. Add them up and you have a new way to live, focused on a positive future for yourself and your world. 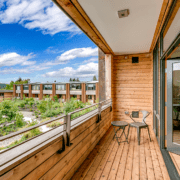 Grow Community is the largest solar community in Washington, with every single-family home and duplex powered by photovoltaics, and rooftop solar on many townhomes and condominiums. 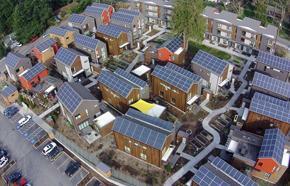 Solar arrays are offered as a buyer’s option on every home including multifamily. And going solar has never been simpler. With today’s strong financial incentives, your solar array will keep your power bill low and even put money in your pocket, just for doing your part for a cleaner planet. Everything your family needs for a healthy, happy lifestyle is within easy distance of Grow Community. Local merchants and grocers, the library, fine cafes and coffee shops, theaters and museums, parks, health clinics and schools … you can reach it all without ever getting behind the wheel. We call it the “5-minute lifestyle,” and it’s just one of the features that makes Grow such an attractive choice for homebuyers seeking a simpler way of living. Harvest your tomatoes and take the extras next door. Read a book under a tree and see who stops to say, “Oh, you’ll love the ending!” Or just take a quiet stroll down a neighborhood path and bump into someone new. 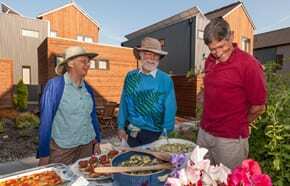 Grow Community is designed to promote serendipity, the unexpected meeting, the little connections from which lifelong friendships spring. Grow a community together, and get as involved as much (or as little) as you want. The neighborhoods at Grow have intergenerational living at their heart – because a true community should be as welcoming to a 73-year-old as it is to a 3-year-old. 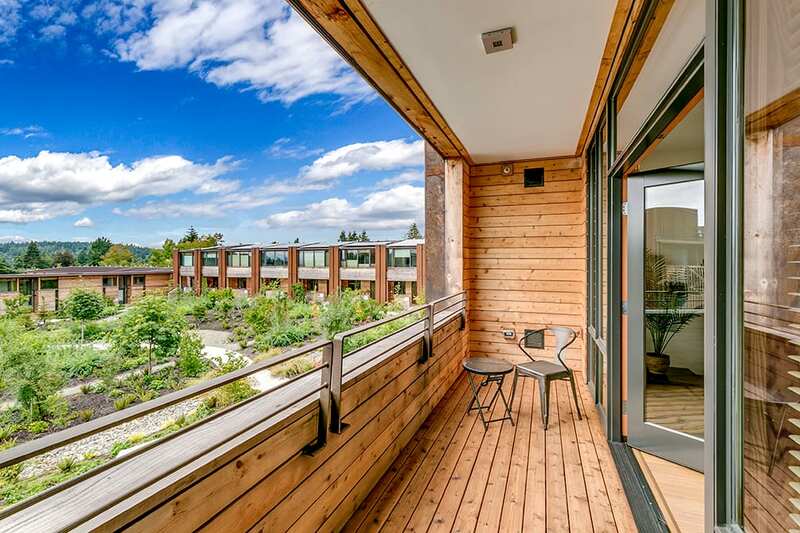 In the Grove and the Park neighborhoods, 60 percent of the homes offer single-level living with elevator access to front entries, while the community spaces invite interaction and sharing between generations year-round. 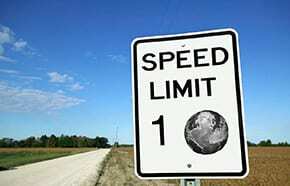 And accessibility extends beyond the neighborhood. You’re just a few minutes from downtown amenities like shops, restaurants and theaters – even ice cream. Great opportunities to purchase and rent our FINAL HOMES are available in the Grove & Park neighborhoods. 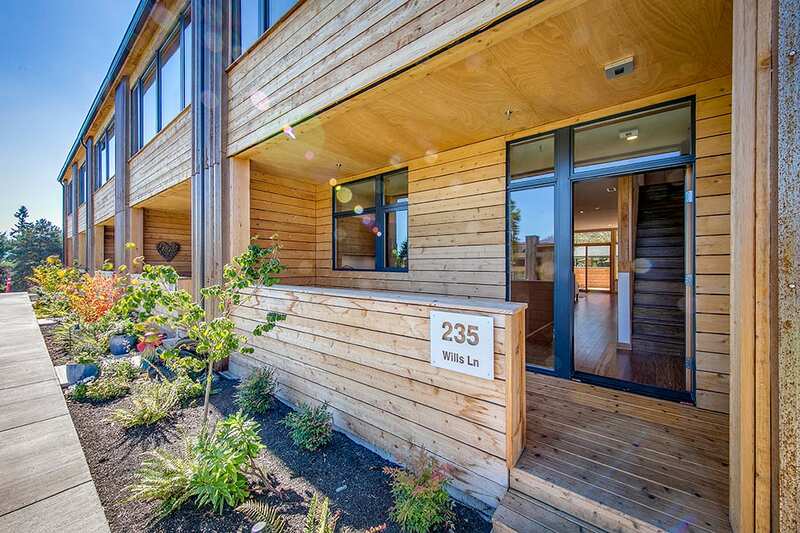 Beautifully designed, ultra-efficient 2 bedroom solar ready homes set a new standard for healthy, sustainable living. 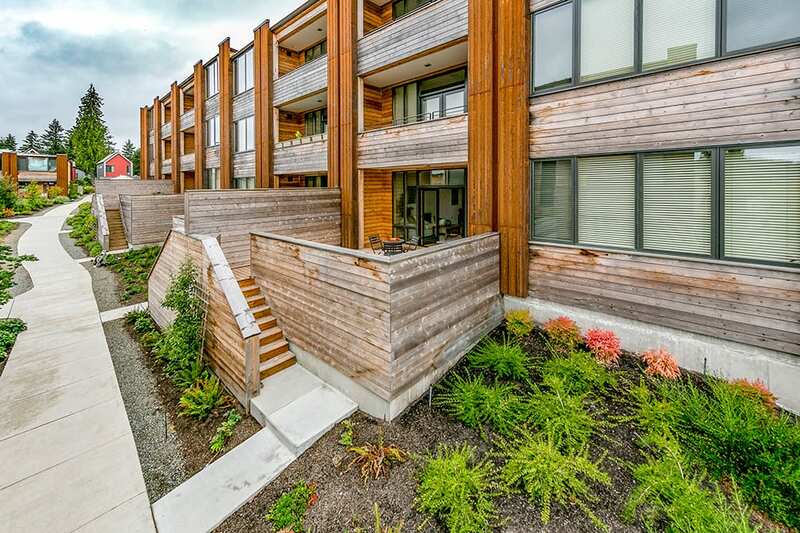 Only three 2-bedroom homes remain to purchase in the Tsuga and just 6 in the Sage building. 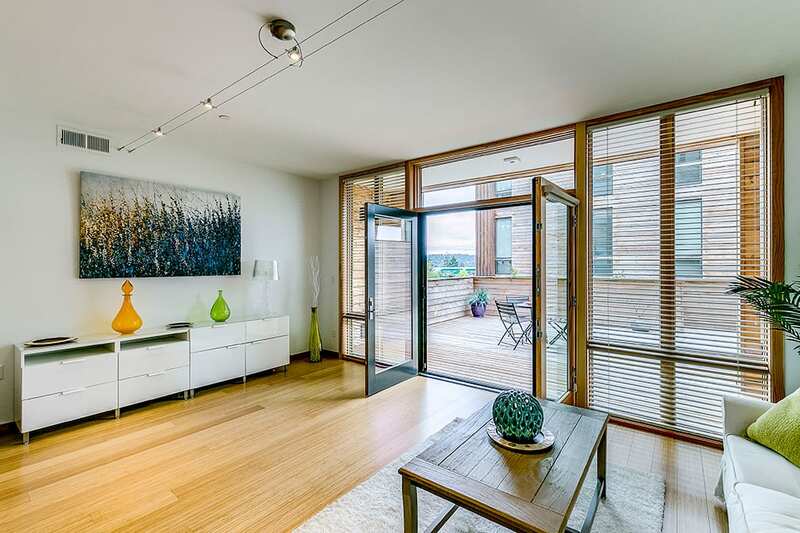 We also have two homes that have become available to rent in our Juniper building. What a wonderful year 2017 has been for Grow Community! As we enter the season of reflection, we pause to celebrate our many successes and the friends who made it all possible. From the very start, we set out to make Grow a showcase for eco-positive construction, with energy-saving features throughout every home. And it’s earning notice. 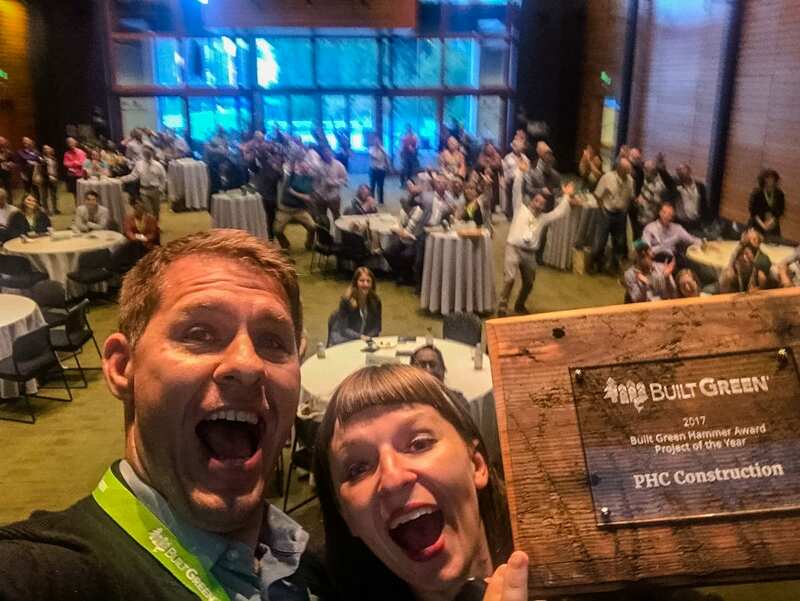 Early in the year, Puget Sound Energy feted our energy efficiency program for multifamily buildings with a visit and presentation. 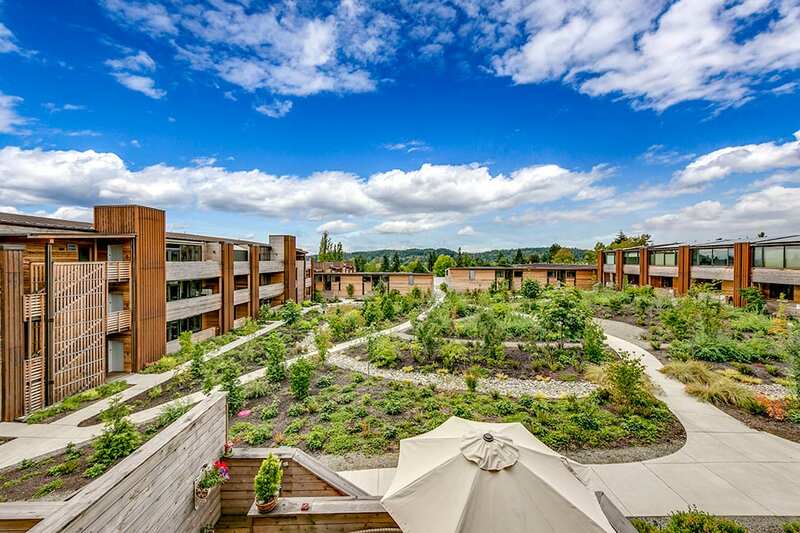 When the Urban Land Institute held its annual conference in Seattle this past spring, Grow Community was on the tour stops. 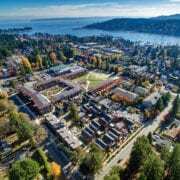 We were pleased to welcome leaders in spheres ranging from development to investment, planning and design, as they came to Bainbridge Island for site visits. What a great privilege to host these national leaders in sustainable planning! Even as the new Community Center in the Park neighborhood took shape, we couldn’t wait to share it. So we invited folks with longtime ties to the neighborhood – including Jerry Grow, a descendent of our namesake pioneer family – for a Sharing Our History gathering and reception. 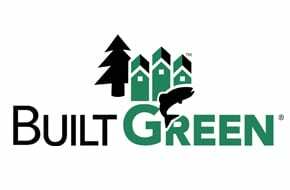 Along the way we earned Built Green’s prestigious Project of the Year Award, as selected by our peers around the Northwest construction community. What an honor! 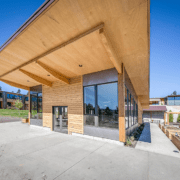 And Grow’s position as Washington’s largest planned solar community continued to bloom, as the Community Center got its own row of solar panels on the bike shelter behind the building. It’s all part of our ongoing commitment toward sustainability and energy self-sufficiency. 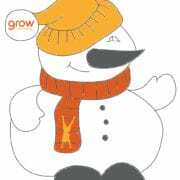 The Grow Community team thanks our residents, construction and sales teams, and our many supporters for their enthusiasm and hard work this past year. 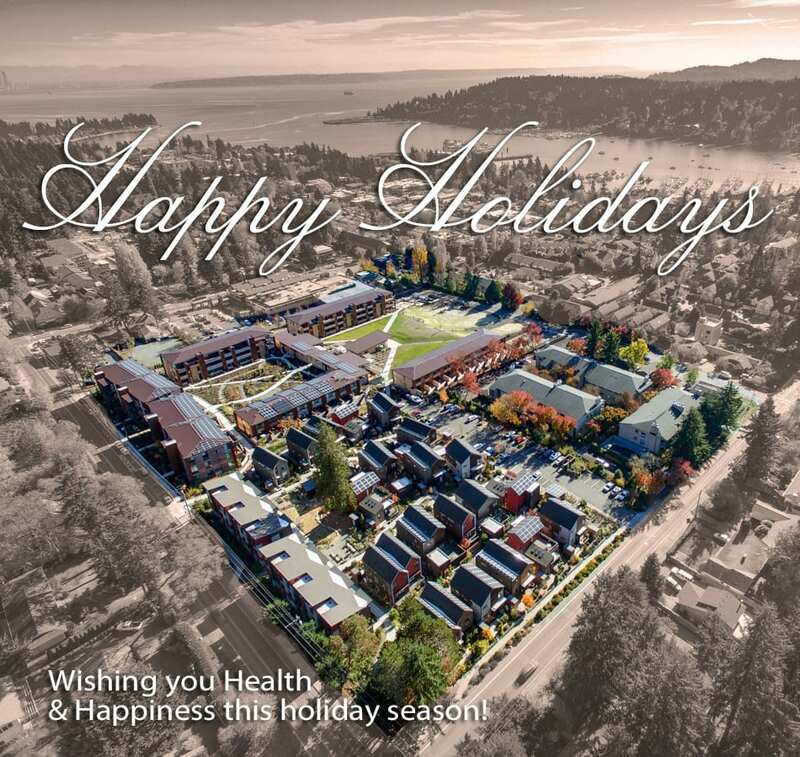 With just a few more buildings to go, we’re into the Homestretch – but in this season, we celebrate simply Home: Grow Community. 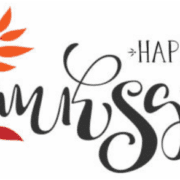 https://growbainbridge.com/wp-content/uploads/2017/11/thanksgiving-text.png 293 800 Grow Team https://growbainbridge.com/wp-content/uploads/2018/05/growlogo-300x110.gif Grow Team2017-11-20 22:48:392017-11-20 22:48:39Happy ThanksGrowing! 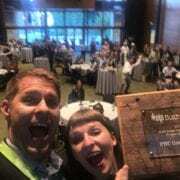 The US Environmental Protection Agency recently honored the City of Bainbridge Island with its Green Power of the Year Award – and Grow Community helped earn the honor. In his report to the community, City Manager Doug Schulze cited Grow Community’s leadership. 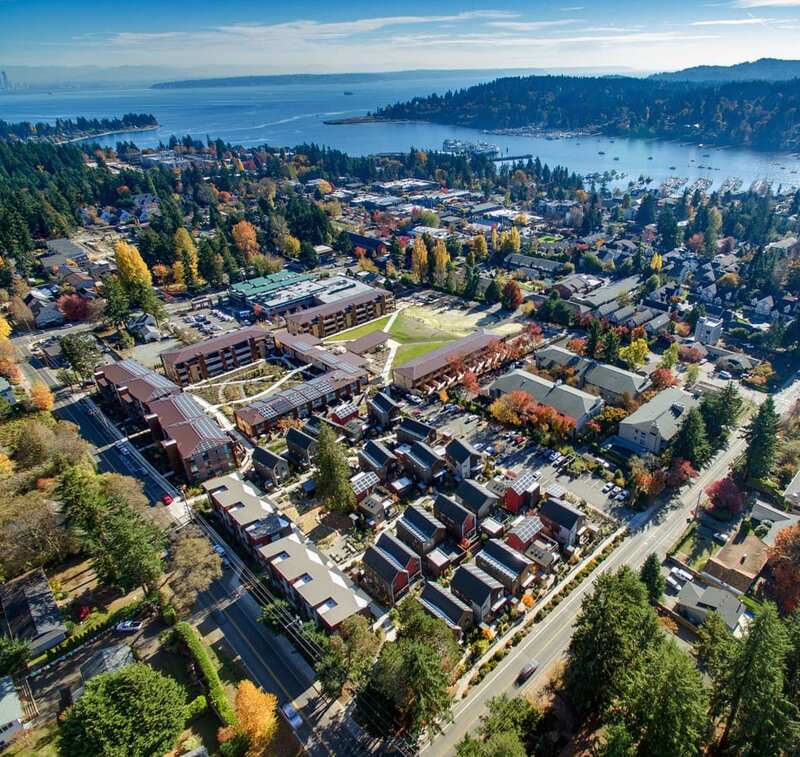 Kudos to Bainbridge Island for this great national award! Read the City Manager’s report on our national leadership in Green Power below. 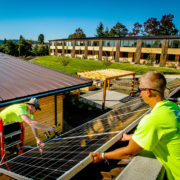 Grow Community boosted its standing as Washington state’s largest planned solar community this week with another new photovoltaic array – this time, for the new community center. A 17-module, 5.1-kilowatt array went up atop the bike shelter behind the community building, centerpiece of the Park neighborhood. 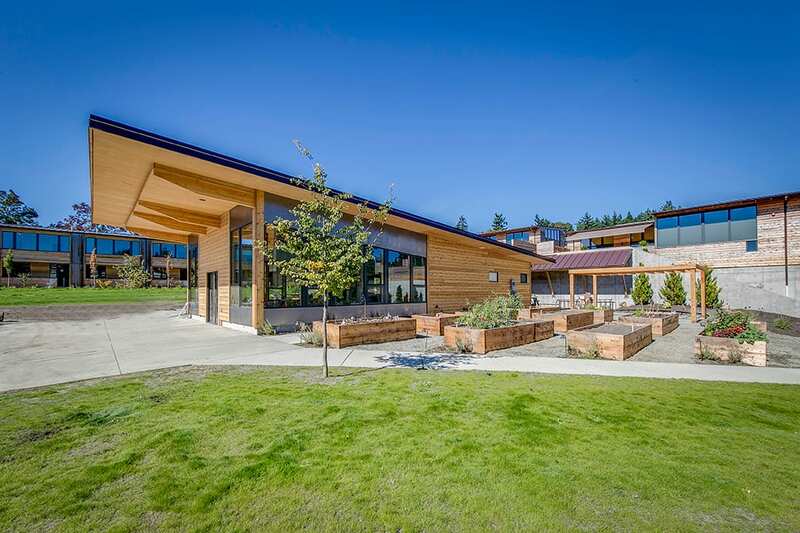 The south-facing array takes advantage of excellent solar exposure through the day, turning the bike shelter roof into productive solar garden to help power activities at the community center. 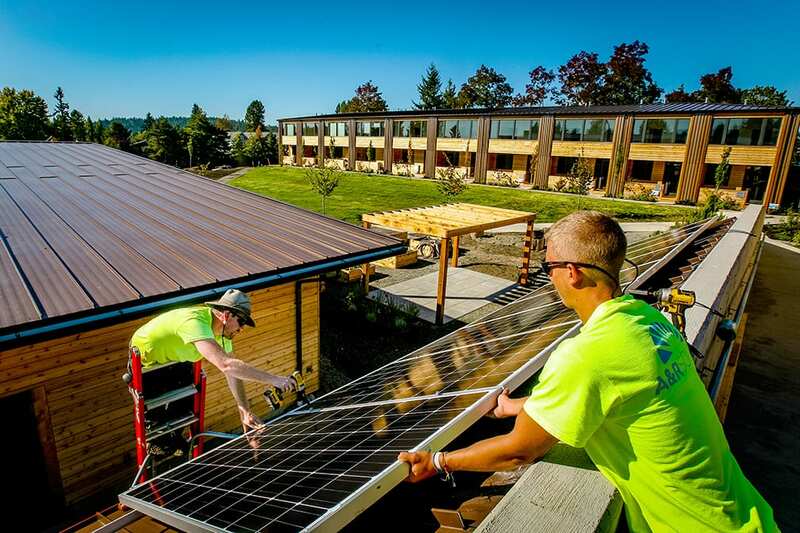 The system also supports the local solar industry, using certified Made In Washington solar panels by iTek Energy of Bellingham. 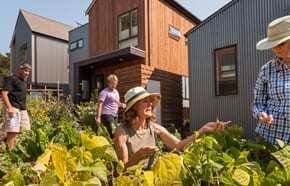 Installation is by A&R Solar of Seattle, who’ve completed many of the residential arrays found throughout Grow’s three solar-powered neighborhoods.